Our guide to San Diego will help you find the best green spots in San Diego California. Although San Diego is the eighth largest city in the country, it's stayed true to its laidback surfer vibe mentality. If you're looking for trendy boutique hotels, an exploding culinary scene, and big-city nightlife, with a side of beach bum mixed in, you're in the right place! For families, San Diego is ideal. If world-famous destinations like the San Diego Zoo, SeaWorld, Belmont Amusement Park, and LegoLand (in nearby Carlsbad) aren't enough, families can take advantage of an abundance of museums, a children's theater, a puppet theater, and all sorts of other, lesser-known but no less entertaining attractions. With this much to offer, it's no surprise that tourism plays a major role in San Diego's economy. Other big contributors include biotechnology, agriculture, manufacturing, and defense-related industries. The US Marines and the US Navy maintain several bases in the county. There are tons of great green spots in the city of San Diego, our city guide will help you find the best green spots. You may have a hard time deciding what to do in San Diego, but we make your decision easy. 1025 Camino De La Reina, (619) 491-0481 - Chipotle Mexican Grill is a green restaurant located in San Diego CA. 1504 Garnet Ave, (858) 274-3093 - Chipotle Mexican Grill is a green restaurant located in San Diego CA. 1905 El Cajon Blvd, (619) 683-9490 - Loving Hut is a green restaurant located in San Diego CA. 2812 Kettner Blvd, (619) 543-0933 - Kava Lounge is a green restaurant located in San Diego CA. 2879 University Ave, (619) 543-0406 - Spread is a green restaurant located in San Diego CA. 2949 5th Ave, (619) 550-1818 - Nature's Express is a green restaurant located in San Diego CA. 3680 Rosecrans St, (619) 222-0508 - Chipotle Mexican Grill is a green restaurant located in San Diego CA. 4640 Mission Blvd, (858) 274-7117 - Bare Back Grill is a green restaurant located in San Diego CA. 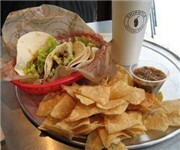 5842 Hardy Ave, (619) 265-2778 - Chipotle Mexican Grill is a green restaurant located in San Diego CA. 734 University Ave, (619) 209-3688 - Chipotle Mexican Grill is a green restaurant located in San Diego CA. 7420 Clairemont Mesa Blvd, (858) 874-0007 - Cafe Picasso is a green restaurant located in San Diego CA. 8250 Mira Mesa Blvd, (858) 586-2147 - Chipotle Mexican Grill is a green restaurant located in San Diego CA. 859 Hornblend St, (858) 272-1913 - Vegan Zone is a green restaurant located in San Diego CA. 8657 Villa La Jolla Dr, (858) 554-1866 - Chipotle Mexican Grill is a green restaurant located in San Diego CA. 9450 Scranton Rd, (858) 457-1103 - Sipz Vegetarian Express is a green restaurant located in San Diego CA. 10511 4s Commons Dr, (858) 793-7755 - Jimbo's Naturally is a green food / grocery store located in San Diego CA. 11828 Rancho Bernardo Rd, (619) 223-4397 - Barons Marketplace is a green food / grocery store located in San Diego CA. 12853 El Camino Real, (858) 793-7755 - Jimbo's Naturally is a green food / grocery store located in San Diego CA. 1419 Garnet Ave, (619) 327-0155 - Synergy is a green food / grocery store located in San Diego CA. 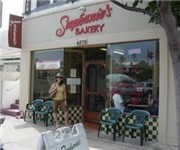 4669 Park Blvd, (619) 299-4669 - All Vegan is a green food / grocery store located in San Diego CA. 4765 Voltaire St, (619) 224-1387 - Ocean Beach People's Natural Foods Co-op is a green food / grocery store located in San Diego CA. 7805 Arjons Dr, (858) 537-9830 - Gold Mine Natural Food Company is a green food / grocery store located in San Diego CA. 7825 Fay Ave, (858) 459-5326 - Lean and Green is a green food / grocery store located in San Diego CA. 8510 Genesee Ave, (858) 558-4180 - Bristol Farms is a green food / grocery store located in San Diego CA. Student Ctr 0323, (619) 224-1387 - UCSD Food Cooperative is a green food / grocery store located in San Diego CA. 13330 Paseo del Verano Norte, (619) 237-1632 - Rancho Bernardo/Bernardo Winery Farmers Market is a green farmers market located in San Diego CA. 3245 El Cajon Blvd, (619) 584-4595 - Pancho Villa's Farmers Market is a green farmers market located in San Diego CA. 4330 Morena Blvd, (858) 273-7188 - The Fruit Stand is a green farmers market located in San Diego CA. 4439 Genesee Ave, (858) 268-2400 - Henry's Farmers Market is a green farmers market located in San Diego CA. 5950 Santo Rd, (858) 492-5127 - Farmers Market is a green farmers market located in San Diego CA. 650 Robinson Ave, (858) 454-1699 - La Jolla Certified Farmers Market is a green farmers market located in San Diego CA. Lyman Ave, (619) 279-0032 - La Jolla UCSD Farmers Market is a green farmers market located in San Diego CA. Mission Blvd & Reed Ave, (619) 280-5200 - Pacific Beach Farmers Market is a green farmers market located in San Diego CA. 4435 Eastgate Mall, (858) 622-1066 - Cafe Fusion is a green coffeeshop / cafe located in San Diego CA. 5300 Campanile Dr, (619) 287-2101 - Peabody's Organic Coffee is a green coffeeshop / cafe located in San Diego CA. 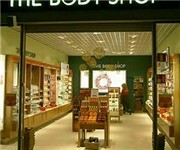 7007 Friars Rd, (619) 297-3413 - Teavana is a green coffeeshop / cafe located in San Diego CA. There are plenty more green spots in San Diego. See all green spots in San Diego California.